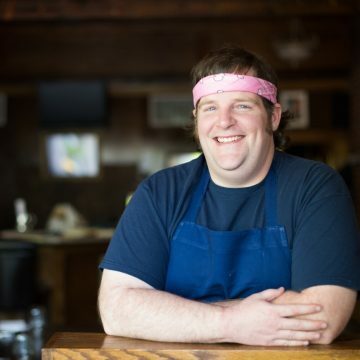 Harrison dreamed of opening his own restaurant, named after his family farm and preparing food grown in the state of VA. Harrison has worked in restaurants since 1996 and loves taking care of people. In July 2010 Harrison and wife Jennifer opened the doors of Brookville, together, with only a handful of employees and a lot of faith. They promise to cook y’all great food and invite you to be a part of their family!